Your Success Team & Concierge is there to take some work off your hands! 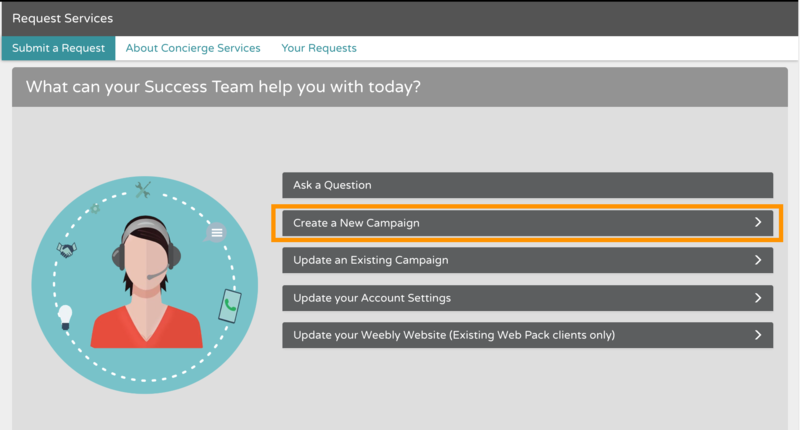 Here's how to launch a campaign using Concierge Services. 1. From your Flipcause Dashboard home page, click on Request Services (also available on the left-hand sidebar toward the bottom). 2. To request a new campaign, click Create a New Campaign. 3. 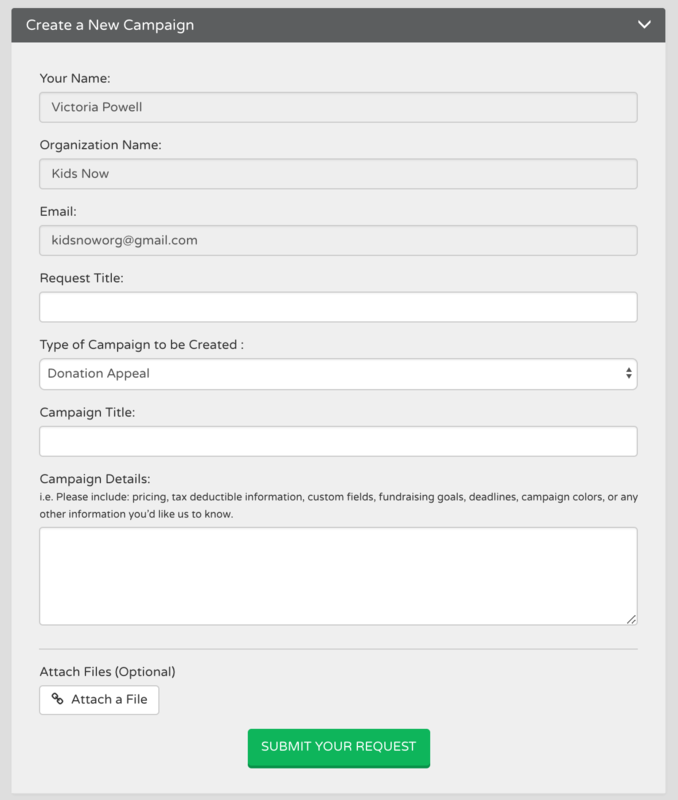 Fill out the form with your campaign information, including Title for your campaign, the description, and attach any images or logos you'd like to make sure we add to it. 4. Click SUBMIT YOUR REQUEST to send us the details. We'll start working on it right away, and you can expect the first draft back within 1-2 business days. 5. After you have submitted a request, you can track the status of your requests by clicking the Your Requests tab.